I’ve mentioned many times that my neighborhood is smack dab in the middle of Suburbia. Not a farm or barnyard in sight. 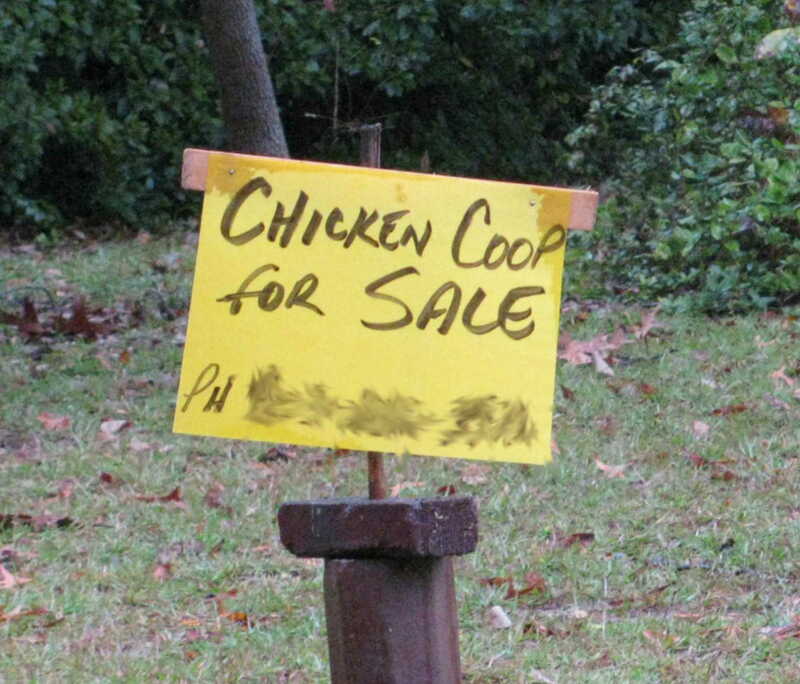 So it always surprises me to find signs of chicken life. Literally. Signs of chicken life. 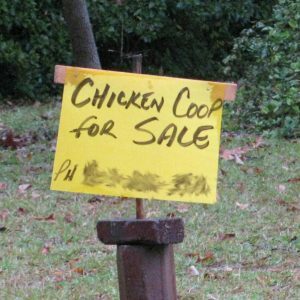 These two neighbors — and their chickens — live in two very different sections of the neighborhood. Or at least, they did. 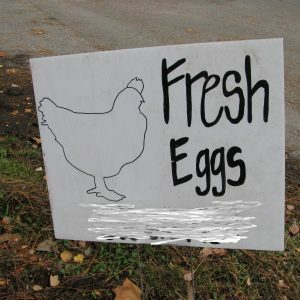 It looks like one of them flew the coop. 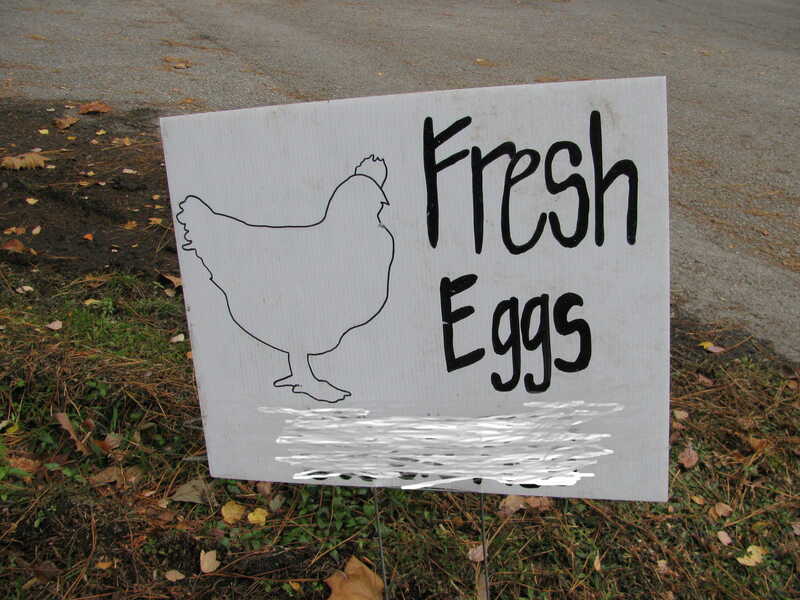 Chickens that advertise. That’s what we’ve got.